Fast forward a few years and the boys are in full swing. 2011/2012 saw several releases on the duos own imprint: Tactical Recordings – including the critically acclaimed ‘Kansas’, and a track for BTK’s Dutty Audio label entitled ‘Prang’. But it was 2013 that proved to be the most successful year to date. The dancehall tinged drum & bass hit: ‘Crazy Hype’, featuring ragga legend, Elephant Man, was snapped up by Playaz. Their remix of Cause4Concern’s early 2000 anthem: ‘Soul’ went on to feature in the sets of just about every man and his dog! Prolix snatched up ‘Grotbags’ for his Trendkill imprint, and the legend that is Andy C signed up ‘Wolf Trap’ exclusively for the sixth installment of his hugely successful Nightlife compilations. 2014, and the duo show no sign of slowing things down. 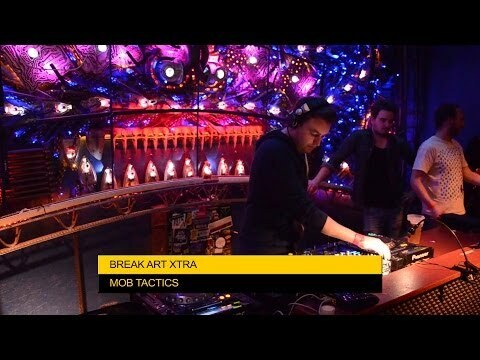 With an EP already penned for release on Cause4Concern Recordings, another track in the pipeline for Ram, and a DJ schedule that is shaping up rather nicely, chances are, if you like drum & bass – you might just like Mob Tactics.